Utilities are excited about the current generation of smart thermostats that customers are buying from big-box stores and HVAC dealers. A growing body of research shows that there’s good reason for the excitement. Not only can utilities leverage the two-way wireless thermostats for demand response if a customer so chooses, but there are also notable savings even if a customer never opts in to a utility program. 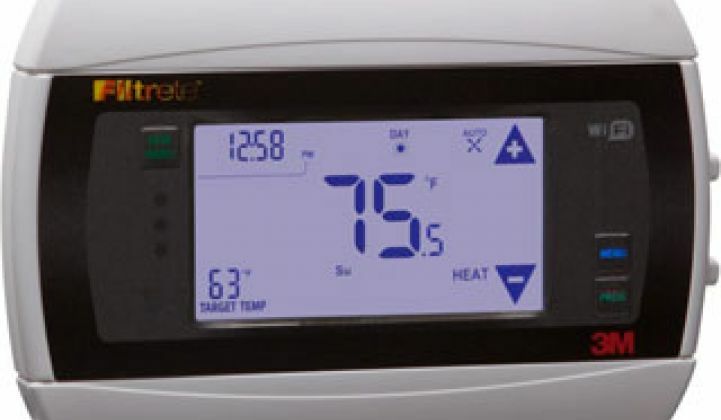 The latest company to release a white paper based on its thermostat data is EnergyHub, which provides the software platform for Radio Thermostat of America and Carrier Wi-Fi-connected thermostats. Alarm.com purchased EnergyHub last year, although it continues to operate as an independent subsidiary. Homes in Southern California that installed a smart thermostat between the summers of 2012 and 2013 saw their energy bills drop an average of 6 percent in summer months, with the largest savings coming in August -- 17 percent on average. The small study, which included approximately 90 homes, was based in Southern California, a region where EnergyHub is part of bring-your-own-thermostat programs and therefore has access to smart meter data. Each thermostat produces about 50,000 data points per month. The analysis controlled for outdoor weather conditions, household characteristics and year-over-year variation. 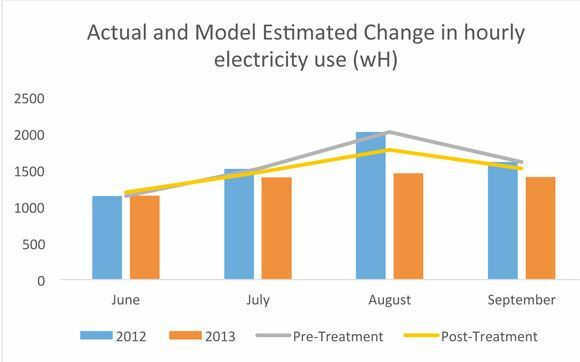 Instead of looking at the demand response days, EnergyHub only examined the overall energy savings of installing and programming the thermostats. Those that made the most of their program settings, rather than overriding the settings multiple times per day, saw the highest savings of up to 30 percent in electricity bills, according to the white paper. Six percent doesn’t sound like much, but it is significant compared to the results garnered by some other seasonal energy-efficiency programs. Behavioral programs tend to result in savings of approximately 2 percent. Nest’s Seasonal Savings program reduced AC runtime by nearly 5 percent, but AC runtime is only a small fraction of whole-home energy use. EnergyHub claims the 6 percent savings are just the beginning. The cutback in energy use did not include its geo-optimization services or thermodynamic optimization algorithms, which can save more. Instead, the savings came from customers who were simply using their thermostats correctly. The findings should be encouraging for utilities, even if they aren't able to encourage large numbers of customers to opt in to demand response programs. There was a load shift of 0.26 kilowatts between 2 p.m. and 7 p.m. on an average summer day, about a quarter of what utilities hope to get from homes enrolled in demand response programs when a peak event is identified. Of course, when companies like EcoFactor, Nest, EnergyHub and Honeywell publish this type of report, it is meant to entice utilities to partner with them to drive even more savings. With increasing spending in energy efficiency programs, utilities may find that offering rebates for the latest generation of smart thermostats can have immediate benefits, while also opening up the door to more savings opportunities down the road.